Barbara Rawlinson, the Secretary for Stanley Rangers, was awarded Secretary of the Year for the National Conference League. Barbara was presented with the award at the Gala Presentation Evening. This is a fitting tribute to all the hard work that Barbara has done over the years for the club and we send her our congratulations! The match reports for the Under 9s 2007-8 season have been updated so please enjoy reading about their efforts during the season. 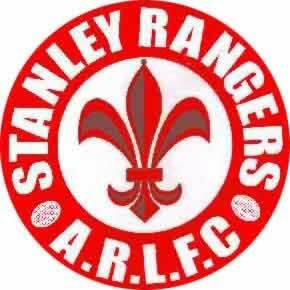 The AGM for Stanley Rangers ARLFC will be held on Sunday 29th June at the clubhouse at 1pm. The Rangers Under 11s team have been having a highly successful summer season, winning all the games so far. Their last match is against Castleford Panthers next week, so we wish them luck and hope they finish with a 100% record. The whole rugby league community has been shocked by the sudden and untimely death of David Topliss on Monday 16th June. David Topliss was member of Englanda 's World Cup-winning squad in 1972 and captained both Wakefield Trinity and Hull in the Challenge Cup final at Wembley.He spent 13 years with Wakefield from 1968-81 and won the Lance Todd Trophy as man of the match in their last Cup final appearance in 1979.He also led Hull to Wembley and was in the team that beat Widnes in the Cup final replay of 1982. He finished his career at Oldham and also had stints in Australia with Penrith and Balmain. In his coaching career he coached Wakefield Trinity from 1987-94. Two Stanley Rangers' players have been recently involved in representative games. Richard Cattley and Danny Duce have both been playing in competitions at home and abroad. Richard, one of two players from Wakefield, was part of the BARLA Great Britain U23s side that retained the Simone Franchini International Nines Trophy in Italy despite violent scenes on the pitch. The squad was divided into two teams - the Blues and the Reds - and overall the Reds came out winners in the final as 23-4 winners over BARLA Blues in the final of the competition. However,the BARLA side had to consider their participation in the tournament in Padua, Italy, after violent scenes caused a premature halt to the Reds' clash with French side Ile De Paris, which saw BARLA leading 22-4 before it was abandoned on the hour mark. Danny was part of the successful Wakefield ARL side that beat Leeds ARL 42-20 in the Inter-Town Competition on Saturday 14 June. This is the long-awaited inter-town amateur rugby league competition involving Castleford and Featherstone, Wakefield and Leeds district leagues which finishes with the Grand Final on Sunday, July 19. Following their defeat against Castleford and Featherstone on the opening day of the Inter-Town series, the Wakefield side built up a 28-point lead in as many minutes at Sharlston. Duce scored a try in the second period. Wakefield will next be in action against Castleford & Featherstone at Sharlston on Saturday 28th June. Team photos courtesy of the Wakefield Express and BARLA. No need to worry about what to buy for your father this year. Buy a gift for Dad at www.buy.at/stanleyrangers and help to raise funds for Stanley Rangers ARLFC. The Under 14s took on Westgate Redoubt in the final of the Wakefield Cup on Thursday 22nd May and were desperately unlucky to be beaten by a try in the last minute. After trailing 12-0, the Rangers fought back to take a first half lead. In the second half, the lead see-sawed between the two sides and a Jack Wronski try evened the scores but a last-minute try from Westgate saw them retain the trophy. The Under 14s will be holding their Presentation Evening on Sunday 14th June at the clubhouse. The Under 18s have arranged a number of fundraising events in aid of the three team members who are going to Australia on the BARLA Under 18s tour. This tour is costing them each £1750 to go on and so all the funds raised will be most valuable to help the lads. On Sunday 25th May, there will be a Curry Night. This starts at 4pm onwards at the clubhouse. Then on Friday 30th May, there will be a lively evening dog racing at the Kinsley Dog Track. The cost of this is only £5 per ticket and you will have a great night out! The final event is on Tuesday 17th June. This will be an evening with Barry Macdermott and Terry O'Connor. There will be a buffet, a comedian and an auction of rugby league memorabillia as well as two of the funniest and sharpest rugby commentators on the scene, as anyone who listens to Radio Leeds will know. This event will be held at Crofton Community Centre and starts at 7.30pm. If anyone wants tickets for any of these events, please contact Lynda Grice or email stanleyrangers@aol.com. Good luck to the Under 14s who will be taking on Westgate Redoubt in the Wakefield Cup Fin al on Thursday 22nd May at Normanton Knights, kick off 6pm. Why not go along and give our boys a cheer? UNDER 12S TAKE THE TITLE! Congratulations go to our Under 12s who have completed a fantastic season by winning the Wakefield Cup. They beat Crigglestone All Blacks 16-6 on Wednesday May 20th to lift their second cup, having just won the FAM Yorkshire Juniors ARL Cup. Well done to coaches Steve Copley, Dean Ledger and Dave Poutney and all the team, parents and families and friends who have supported them through such an eventful season. The BARLA Great Britain U23s just edged a result against the England Students 25-24 at College Grove, Wakefield on Tuesday 23rd May thanks to a field goal 8 minutes from time by Skirlaugh second row Lee Waterman. Stanley's Richard Cattley played in the match.The match is being used as part of the build-up to the tour of Italy in June, when the side will play Tests against Italy and France, and defend the Simone Franchini Nines. Many thanks to Daniel Sowerby, Under 11s, for the excellent photo of Richard in action. On St. George's Day, the new website for Stanley Rangers ARLFC is launched. Please will all teams note that there may be a little delay before all their match reports for the season are updated, so please be patient. The Club Directory will also continue to be updated. The Under 12s had a busy day on July 12th when they took part in the Castleford Lock Lane 9-aside tournament and were just pipped to the post in a nail-biting final. They then had their presentation evening at the clubhouse with former Stanley Rangers players Carl Hughes (Featherstone Rovers) and Gareth Pountney (Castleford Tigers) handing out the trophies. With such a successful season - the U12s won the The Richard Harris Memorial Cup in the YJARL Challenge Cup Final, The Wakefield District Cup and finalists in the BARLA Yorkshire Cup in their first year of asking p it was only fitting that the whole team received a squad trophy which was truly deserved after a very successful season. Two of Stanley Rangers junior teams - the Under 9s and the Under 11s Rangers - recently held their presentation evenings for this season and were both lucky enough to have Super League players to present the awards. The Under 9s had none other than Jamie Peacock, the England and GB Captain. Jamie spent time with the boys and really gave them a special day to remember. The Under 11s Rangers had the Wildcats top kicker Danny Brough and Dale Ferguson to present their awards and both players stayed for the evening and gave the boys and their families a real boost. Three Stanley Rangers Under 18s players will be part of the BARLA GB Under 18s squad touring Australia in July. Matt King, Liam McKay and Layton Sharp will be part of the 28-man squad that will be playing three games and also visiting NRL matches during their stay. Manager Dave Whalley said "This is a once in a lifetime opportunity to represent you country in Australia, and every one of the squad is very excited by the challenge". The Unison-sponsored BARLA Great Britain Under 18s Squad leave for Australia on Thursday 10th July from Manchester Airport for a nineteen day tour. They will arrive in Sydney, via Singapore and will stay at the Penrith Panthers Cables Resort in Western Sydney for the duration of the tour, returning to Manchester on Tuesday 29th July. Whilst in Australia they will play games against Penrith Panthers Development Squad (Wednesday 16th July), Henry Lawson, Cambridge Park (Tuesday 22nd July) and Lower Mountains (Thursday 24th July). Free delivery when you spend £25+, use FB18 at the checkout. The Under 12s will face Crigglestone All Blacks Under 12s in the Wakefield Cup Final on Tuesday 20th May at Westgate, kick off 6pm. Your support for the boys would be much appreciated. Matty Burman from the U12s was named Wakefield's Man of the Match at the weekend in the Wakefield v Hull Service Area game played at Castleford Lock Lane. The final score was 8-8. The Under 12s would like to pass on their best wishes to Ben Cringle from Castleford Panthers who broke his ankle during the game and wish him a speedy recovery. Congratulations go the Under 14s who reached the final of the Wakefield Cup with a 22-14 win over Crigglestone All Blacks. Stanley Rangers' Richard Cattley has been named in the 20-man squad on Tuesday evening so why not go along and support the GB lads. A Grand Auction will be held at the clubhouse on Saturday May 17th at 7.30pm. There will be a live band, tombola/raffle and supper. Admission is just £1 and the proceeds will go to the Outwood Grange College and Stanley Rangers Under 16s Australian Rugby League Exchange. This exchange has been running for three years and all the students have thoroughly enjoyed their time in both countries. Under 11s star utility player, Dom Jones broke his right arm in 2 places on the very last play of the game between the Under 11 Rangers and Normanton Knights U11s on Wednesday night. The whole squad send their best wished to Dom, his mum and dad, Pete and Andrea, and we all wish him a speedy recovery. UNDER 12S TAKE THE CUP! The Under 12s beat Milford Marlins 38-10 to lift the FAM Yorkshire Juniors ARL Cup at the Chris Moyles Stadium today. Going into the interval only 12-10 ahead, the Under 12s scored an excellent 26 points in the second half. Their next goal is the Final of the Wakefield Cup. Now's the time to keep fit in readiness for the new season with fantastic offers from the JJB Sports TV on the online shop and boost the funds for the club. JJB Sports TV is new to our webshop and brings you the best fitness products from Sky Shopping Channel 638. Buy fitness products here and 20% of what you spend will be given to Stanley Rangers ARLFC. Grand Theft Auto IV launches on the 29th of April on both Playstation 3 and Xbox 360 – with the very limited Special Edition versions still available on both formats! Stanley Rangers ARLFC will receive a huge 10% donation when you pre-order the Grand Theft Auto IV Limited Special Edition pack for £69.99 on PS3 or Xbox 360. Pre-Order now to get four exclusive gamer pictures and 500 Xbox Live Points. Don't forget that the Under 12s will be playing against Milford Marlins in the FAM Yorkshire Juniors ARL Cup Final on the 5th May, 2008 at the Chris Moyles Stadium, Featherstone, kick off 10.30am. Why not go along and support our boys. Congratulations go to the U12s Matty Burman, Liam Green, Jordan Howden & Charlie Ledger who have all been selected to play in the Wakefield Serice Area team. The U12s would also like to congratulate our U13s who have won their league and reached the final of the Wakefield Cup in their first year together. A great achievement, well done lads! Congratulations to the Under 13s who have secured the top position in Division Four of the FAM Yorkshire League, Under 13s. They have only lost 2 games all season and scored a magnificent 830 points. The Under 13s have also reached the Final of the Wakefield Cup in their first year of playing together. Outwood Grange College students and Stanley Rangers U12s players Jordan Howden, Matt Burman, Jack Briggs, Jonny Carr, Charlie Ledger, Jack Rules, Jordan Smith and Aidan Womack defeated Normanton Freeston consisting of U12s team members Joe Crossland, Josh Pountney and Connor McNally to become Year 7 Champions in the Wakefield Schools Cup going through the competition unbeaten. Instrumental in Outwood's young team performance was PE teacher Mr Pratt with assistance from Stanley Rangers U18s player Ross Megretton and former Stanley player Matt Wildie (Wakefield Wildcats) and Shane Dixon. It was a great sporting performance from both teams with some excellent Rugby League played on the day. A fantastic achievement for both sides in reaching the final in their first year of cup competition. Congratulations and a big well done to Outwood Grange College. Stanley's Under 16s were just beaten 25-22 by Normanton Knights in the quarter finals of the Yorkshire Cup. In a magnificient team effort the Under 16s were only able to field 12 players, owing the to BARLA ruling that any player signed for a professional club cannot play for the rest of this season. Commisserations to the team but well done for such a tough effort. In the Premier Division Top 4 play-offs, the Under 18s came close but were just beaten by Dewsbury Celtic 12-6. Stanley's game against second place Millom led to a 56-0 defeat. This was Stanley's last game of the season and leaves them currently in sixth place in the league in their first ever season. Stanley's David Finlay has been named in the Yorkshire Under 19s squad who will be playing in the BARLA County Championship second stage when Yorkshire host Lancashire at Heworth, York, at both the Open Age and Under 19 levels on Sunday April 13th. The Under 19s game will kick off at 1.30pm and the Open Age match is scheduled for 2.45pm. The England Under 16s tour in France over Easter ended in victory for th English lads, winning the second match 36-8, after losing by only two points in the first game. Stanley's Adam Milner played in both matches and match reports and photos can be read here..
Stanley Rangers Under 12s will be playing against Milford Marlins in the FAM Yorkshire Juniors ARL Cup Final on the 5th May, 2008 at the Chris Moyles Stadium, Featherstone, kick off 10.30am. Adam Milner, Stanley Rangers Under 16s player, has been touring France with the England Under 16s squad this Easter. Matches against the French Under 16s team were played at Tonneins and St Paul de Fenouillet. Adam has recently signed for the Castleford Tigers Under 18s, along with Gareth Butcher and Billy Harris. More of our talented youngsters have signed for Huddersfield Giants Junior Academy. The latest additions to the squad are Jake Brown and Danny Pinder (Stanley Rangers), who were on the Giants Scholarship Scheme and Josh Lyons. Congratulations to David Finlay has been chosen in the 30-man squad by Yorkshire Under 19s manager, Alan Boot. The squad will be whittled down after this week's training at Upton. 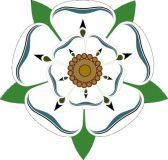 The Yorkshire team will be playing against Cumbria in the Under 19s BARLA County Championship on Sunday 30th March. The first team will be playing their last game of the season away to Millom on the 5th April and the second team who have finished all their league games, will be playing against Oulton away on the 5th April in the quarter finals of the cup. The Open Age presentation evening will be on April 19th. After the Easter break, the first team are in action this weekend against Crosfields, currently near the bottom of the league. Stanley Rangers are sixth in the league, with Normanton Knights at the top, followed by Millom. The Under 15s and Under 14s games in the FAM Yorkshire Junior League were all postponed due to the adverse weather. The Under 18s took on Castleford Panthers, their close rivals in the U18s Premier Division, in the semi-final of the Yorkshire League Cup but lost out 29-6. Congratulations to two of our junior teams - the Under 16s and the Under 13s - who are currently top of their respective leagues. The Under 13s were also successful at the weekend, beating Westgate Redoubt Under 13s 38-36 in extra time in the semi-final of the Wakefield and District Cup. The Under 13s in their new kit are pictured in the League Talk section of the Rugby Leaguer and League Express this week. Get your stationery supplies at our online shop with Staples, who have just joined the Buy at shop [ Online Shop ] .Staples are now at www.buy.at/stanleyrangers and are giving away a USB speaker and hub with every order over £39 (ex. VAT). Enter 2G-73215 in the ‘Promotional Offers’ box in your shopping basket. The first team made it three in a row when they beat Heworth 30-16. With a 30-4 lead at half-time, Heworth replied with three tries in the second half but in swirling windy conditions, were unable to convert any of them successfully. Stanley Rangers have been drawn against Oulton Raiders in the semi-final of the Alliance Cup, CMS Yorkshire League. The Under 14s will be taking on Crigglestone Under 14s in the Continuation Cup semi-final on Sunday 9th March. Why not come along and support our juniors in their cup run? The Under 18s will be playing in the semi-final of the Yorkshire League Cup on Sunday 1st March away at Castleford Panthers. The Under 13s proudly displayed their new kit this week, thanks to the generosity of their sponsors - George-a-Green Fisheries, Sun Chemical Ltd and Parkside Flexibles (Normanton) Ltd. The team would like to thank their sponsors and ask that everyone support the sponsors whenever possible. The Under 13s are having a highly successful season and are currently top of their league. The Under 12s will be in the Yorkshire Cup Under 12s Final against West Hull U12s this Sunday, 2nd March, at Craven Park, Hull. The kick off is at 11am. The team consists of Jack Briggs, Matthew Burman, Jonny Carr, Joe Crossland, Liam Green, Jordan Howden (Captain), Charlie Ledger, Jack Ledger, Connor McNally, Tom Megretton, Adam Newby, Josh Pountney, Jack Rules, Jordan Smith, Kieran White, Aidan Womack and Ben Womersley. We wish them lots of luck and are sure that they will be great representatives for the club. I encountered Jordan Howden, the Under 12s Captain, enjoying the Leeds Rhinos success over Melbourne Storm in the World Challenge Cup on Friday evening. Asked about the forthcoming final, Jordan said that the team had been training hard and working on their defence. He felt that the West Hull team were a big side but that Stanley had plenty of pace in their favour. The team were looking forward to the match and to hopefully lifting the cup. Stanley's good form continued with an emphatic win away against Askam 20-8. This moves their league position to sixth in the Division Two table. Currently the top three are Normanton Knights, Millom and Hull Isberg. The next home game is this Saturday against Heworth, kick off 2.30pm. There were great results for both Open Age teams this weekend. The first team took on Egremont Rangers in a mid-table clash and came out convincing winners 36-4. The A team were also in winning form, progressing to the next round of the CMS Alliance Cup by travelling to Heworth and winning 20-10. BARLA GB 18s had a magnificent win over the Great Britian Police 30-6 at Stanningley on February 14th. All three Stanley Rangers players - Matt King, Layton Sharpe and Liam McKay - played and King scored a try. GB Police Head coach, John Harmer, said after the game: "I have got to say that if that's the next generation of BARLA players then amateur rugby league is in great shape. They out enthused us, outplayed us but we have learned a lot of lessons tonight". Isberg completed the double over Stanley with a last-gasp win 23-12. With only five minutes to go, Stanley were just 16-12 behind but a late rally by the Hull side saw them move up into second place in the NCL Division Two. Congratulations to three Stanley players - Matt King, Layton Sharpe and Liam McKay - who have been chosen to be in the BARLA GB Under 18s squad due to play against the Great Britain Police side in the Safestyle UK Challenge at Stanningley ARLFC on Thursday 14th February, kick off 6pm. They all should be playing in this first fixture planned for the squad at Stanningley ARLFC, so if you can try to get along there and support the lads. The squad will be touring New Zealand later in the year, anyone wishing to help out the players with sponsorship please contact the club, via the web site: stanleyrangers@aol.com. The Under 9s were proudly showing off their new away kit in the Wakefield Express recently. Many thanks from the team to A Catlow and Walltex for their support. The new online shop for Stanley Rangers which was launched last weekend contains lots of great ideas to raise funds for the club. For example, you can raise funds just by filling in a Just Rewards survey from Experian and you will also be entered into a great prize draw or if you get broadband from BT you will earn £30.00. With Valentines Day just around the corner there are lots of great ideas for you to choose the ideal gift and help the club at the same time. Please click on the logo and browse through the shop for more ideas. The weekend's cup fixtures for our junior teams resulted in mixed fortunes. The Under 18s were unlucky to lose to Wigan St Patricks 12-32 in the second round of the Northern Rail BARLA National Cup. However, the Under 16s beat Skirlaugh Bulls 40-10 in round two of the Yorkshire League Cup, the Under 14s had a good win 32-20 over Dewsbury Moor in the Continuation Cup and finally the Under 12s had an excellent beat win over Crigglestone All Blacks by 29-4 in cold and blustery conditions, in the Under 12s Challenge Cup. This weekend sees the first round of the Carnegie Challenge Cup on Saturday. The A team will be travelling to Featherstone Lions. The Under 18s will be facing Cup action in the second round of the Northern Rail BARLA National Youth Cup travelling across the Pennines to take on Wigan St Pats on Sunday 3rd, whilst the Under 16s take on Skirlaugh Bulls in Round Two of the Yorkshire League Cup. Stanley Rangers has launched a new online fundraising web shop. We are asking our supporters to shop online at http://buy.at/stanleyrangers and raise money at no extra cost. Over 100 retailers are accessible through the web shop, including Tesco, Marks & Spencer, John Lewis and the RAC. Many retailers provide exclusive offers to the web shop, such as discounts or offering free delivery to the customer, providing more reasons for supporters to buy products through the web shop. Rangers took on Ovenden at the weekend but lost out to the hosts 8-22. The A team faired better with an excellent win at Lock Lane, 42-20 moving them up to sixth place in Division Three. The Under 16s beat local rivals Normanton Knights 28-20; the Under 14sgot through the first round of the Continuation Cup with a 42-26 win over Headingley Hawks and the Under 12s had another good win in the Under 12s Division One beating Oulton Raiders 26-6. Finally, the Under 11s held on to their two-year winning run beating Westgate Redoubt Under 11s. The Under 18s are progressing successfully on in two Cups. At the weekend they had a 40-20 win over Whinmoor Warriors in Round Two of the Yorkshire Cup. This forthcoming weekend, they face either Oldham St Annes or Wigan St Patricks in the Northern Rail BARLA National Cup Round Two. Castleford Tigers are launching a programme called the Sportsmatch/Genesis Group International Link Project, to develop their community development at local clubs and local schools. As part of this, Stanley Rangers will receive talks from the community development team, the first one being on anti bullying. Each age group will also get four training sessions from the development team, as yet to be arranged.The first talk will be at the clubhouse on Thursday 31st January at 6.30pm for the U8s, U9s, U10s and U11s. Under 16s team captain, halfback Danny Ansell, has signed a 3 year professional contract with Huddersfield Giants. Having played for the Rangers since the age of 6, he was on the Wakefield Wildcats scholarship programme before being picked up by the Giants. He represented the Wakefield Service Area earning a place in the Yorkshire regional camp. Danny, along with George Griffin, Jordan Grayston, Adam Milner and Ross Padget,are the boys from the U16s team to be invited to visit Australia in June 2008 as part of the Outwood Grange College rugby league Australian exchange programme and are currently fund raising for the trip. Their next fund raising event is a Race night at Stanley Sports & Social Club on Friday 22nd February 2008. Congratulations go to the U12s team members Jordan Howden, Matt Burman, Jack Briggs, Jonny Carr, Aidan Womack, Charlie Ledger, Jack Rules and Jordan Smith who are part of the Outwood Grange College rugby team that recently won the Schools Wakefield Cup. Stanley's Challenge Cup hopes faded when they were beaten by a strong Cumbrian opposition. Wath Brow Hornets, a division higher than Stanley, beat Stanley 42-0 on Saturday 12th January. The Under 16s lost out to Wigan St Judes 0-7 in a low-scoring match in the Northern Rail BARLA National Youth Cup U16s, whilst the Under 13s were very unlucky just to lose out in extra time in their match against Scarborough Pirates in the Under 13s Continuation Cup. Congratulations go to the Under 12s who beat New Earswick All Blacks 50-6 in the U12s Challenge Cup. Forthcoming fixtures for Stanley teams include: the Open Age A team v Heworth A (away) in the CMS Yorkshire ARL Alliance Cup 1st round on Saturday 19th January; the Under 18s are busy in two cup competitions - they are at home on Sunday 20th against Whinmoor Warriors in the 2nd round of the Yorkshire League Cup and are drawn in the 2nd round of the Northern Rail National Cup away against either Oldham St Annes or Wigan St Pats on the 27th January and finally the Under 16s are drawn against Skirlaugh Bulls away in Round Two of the Yorkshire Cup on the 20th January. Good luck to all our teams home or away. This Saturday 12th January sees Stanley Rangers travel north to play Wath Brow Hornets in the preliminary round of the Challenge Cup. The match kicks off at 1.30pm. Wath Brow Hornets are currently fifth in NCL Division One. Meanwhile, the Under 16s travel across the Pennines, to take on Wigan St. Judes in the Northern Rail BARLA National Youth Cup on Sunday 13th January. Ladies will be entertained at the clubhouse on Tuesday 15th January with an Ann Summers party. This is a ladies-only event and will begin at 7.30pm. The Under 12s will be playing taking centre stage at Craven Park, home of Hull Kr, in the final of the Halbro Youth and Junior Yorkshire Cup Final on Sunday 2nd March. They will be taking on West Hull Under 12s. The kick off time has still to be announced. Other finals on the day will be the Under 13s and Under 17s. In a closely-fought game against old rivals Normanton Knights in increasingly bad weather conditions, Stanley were unable to take the honours with the final score being 6-13. The Open Age team will be facing old adversaries Normanton Knights on Saturday 29th December in what promises to be a classic encounter. Kick off is at 2pm. Wishing you all a very happy Christmas and a peaceful New Year from all at Stanley Rangers. The draw for the Preliminary round of the 2008 Carnegie Challenge Cup has been made at the RFL's Headquarters in Leeds. Thirty-three teams from Rugby League's grassroots were in the draw including 25 clubs from the National Conference League, five Regional League winners and the three eventual winners of the Halbro County Cup Finals. The first tie has yet to be finalised. The winning team in the forthcoming Halbro Cumbria Cup Final (29 December) will face a home game against Wigan St Judes. The fixtures will be played on the weekend of 12 and 13 January 2008. A grand total of 97 clubs, including Cup holders St Helens, four French teams and two from Russia, have entered the 2008 Carnegie Challenge Cup competition which will reach a climax on 30 August 2008 when the final is played at the spectacular Wembley Stadium. All the matches for the weekend of the 17-18th December were cancelled due to the icy conditions. The Under 18s team photo appeared in the Rugby Leaguer and League Express this week. The BARLA GB Under 18s coach, Martin Sowerby, selected a 43-strong squad for the first training session at Shaw Cross Sharks ARLFC on Saturday December 22nd, for the proposed tour of New Zealand in 2008. Two Stanley Rangers players - Liam McKay and Layton Sharpe, are among the squad. We wish them luck during the training and selection process. The draw for the Northern Rail BARLA National Youth Cup draw was made by Robbie Paul at the Drop Kick in Bradford last week. In the Under 16s Cup draw, Stanley's Under 16s will be away to Wigan St Judes and the Under 18s have a by for the first round. The matches are to be played on January 13th. The Open Age team were knocked out of the BARLA National Cup by Hunslet Warriors 14-0 at the weekend. Congratulations go to the Under 12s who in a closely-fought game beat Milford Marlins in the semi-final of the BARLA Cup and now go on the final to face West Hull. A report and photos of the game can be found at [ Report ]. The webmaster aims to visit each team for a home game to take action photos. So far this season, the Under 8s, Under 14s and Under 16s have a report with photos of a match. Have a look at these team pages to find the reports with photos and see our young players in action. If you would like photos to be taken at any of your home games please email the webmaster to arrange this at: stanleyrangers@aol.com. Stanley Rangers recorded their third successive win with a 28-20 win over Castleford Lock Lane.In a game of two halves, Stanley were leading 22-0 at half time but Lock Lane fought back to leave it a closely-fought second half with Stanley coming out on top [ Report ]. Don't forget that the Wildcats Roadshow reaches our club on Tuesday 20th November for the Under 8s to the Under 14s. The outdoor event begins at 6pm and then moves inside the clubhouse at 7pm. This is a fantastic opportunity to meet the players and ask them questions and also to purchase season tickets at bargain prices [ Events ]. Stanley travelled to York at the weekend and came away with a 18-8 win over Heworth. This moves Stanley up to 6th in the Division Two table, with 6 wins from 11 games. This weekend sees local side Castleford Lock Lane come to Lee Moor in a local derby. The game kicks off at 2pm and admission is £2. Both Open Age teams scored huge wins this weekend over their opponents. The first team took on Askam and had an emphatic victory 54-6, ending a disappointing run of defeats. Meanwhile the A team beat Crofton Cougars by a walloping 72-6 in the Buildbase Cup. Next weekend both teams travel to York, the first team to play at Heworth and the A team take on York Acorn. Rugby League legend Neil Fox was at the Under 16s game against Hull Wyke on Sunday. His family have been having Australian exchange student Trent Heading staying with them and he was kind enough to be photographed with Trent and Jayce Sainsbury, whilst third Aussie Kelvin Nielsen was on the pitch for the Under 16s, scoring a try in their 28-14 win over Hull Wyke[ Photos ]. The Open Age team had an agonisingly close defeat at Egremont Rangers 6-10, after leading at half time by 6-4. This was a tight game with the Cumbrians just coming out on top at the end [ Report ]. This weekend sees the first team at home to Askam and the A team away at Crofton Cougars in the the Builders Cup. In the latest round of the BARLA Junior Yorkshire Cup, the Under 18s lost to Dewsbury Celtic 14-20;. the Under 16s had a good win over Stanningley 36-10 and take on Hunslet Warriors at home in the next round and the Under 12s had a huge win over Victoria Rangers 62-6 and go away to Oulton Raiders in their next round. The team photo of the Under 10s is featured in the amateur news pages of both the League Express and the League Weekly. The first team will be taking the trip to Cumbria this weekend when they play against Egremont Rangers. The exchange between Outwood Grange Technology College pupils and boys from Rockhampton State High School and Mackay State High School is currently taking place. The Australian boys - Trent Heading, Kelvin Nielson and Jayce Sainsbury - will be spending time in Wakefield over the next few months attending the college and playing rugby both for the school teams and Stanley Rangers. This is the fourth year that this exchange has taken place and the English boys will be due to visit schools in Queensland in June next year. Stanley Rangers Under 16s lads - George Griffin, Jordan Grayston, Adam Milner, Danny Ansell and Ross Padget - are fundraising for the trip. This weekend saw mixed results for the Open Age teams. The first team lost 18-34 to Hull Isberg whilst the second team had an emphatic win over Farnley Falcons 56-4. Elsewhere, our junior teams had an excellent set of results with the Under 18s beating Normanton Knights 26-6, the Under 14s beating Whinmoor 34-28 the Under 13s winning against Thornhill Trojans, the Under 12s with a 32-10 win over Shark Cross Sharks and the U11s Wildcats beating Hunslet Parkside (continuing their unbeaten run of successes over the last 2 years).With results like these from our junior teams the club's future has a very solid base. Martin Sowerby, a stalwart helper for the Under 11s, has been named the new BARLA Under 18s international manager, taking over from Joe Elliot. Our congratulations go to Martin and good luck for his new position. More details in this interview with Martin [ Interview ]. Stanley Rangers ' annual bonfire and fireworks display will be taking place on the 2nd November at the clubhouse at 6.30pm. Everyone is welcome. Stanley went down 18-44 at Milford Marlins moving them to 7th place in the league. This weekend sees Stanley at home to Hull Isberg currently third in the table. Our junior teams were successful in their matches in the first round of the Yorkshire Cup. The Under 18s had an emphatic 54-2 win over visitors Hull Dockers; the Under 16s travelled to Featherstone Lions to beat them 30-16 and the Under 12s travelled east to Hull to beat Cottingham Tigers 19-14. In the draw for Round Two, the Under 18s are at home to Dewsbury Celtic, the Under 16s are away to Stanningley and the Under 12s are at home to Victoria Rangers. The Annual Hallowe'en Party will be taking place at the Clubhouse on Saturday 27th October, from 6pm onwards. Everyone is welcome. Fancy dress is optional but there will be a prize for the best dressed, so get your thinking caps on! There will be lots of fun and games happening for the children [ Events ]. The Open Age lost to Normanton on Friday 12th October 86-26 in a hard-fought game. This weekend sees them travel to Milford, whilst the A team are at home to Mirfield. The Under 10s are now playing in their new kit, generously sponsored by Stanacre Poultry Co.Ltd. They have also been provided with new tracksuits by their other sponsors this season, Newton Hill Garage of Wakefield. The team would like to thank their sponsors for their generosity and ask that you give these sponsors your support whenever possible [ Under 10s team page ]. The fixtures lists for the Under 12s, U13s and U14s. These new fixtures will be added as soon as possible to each team page but if you need to check any imminent fixtures, please contact your team secretary for the correct details. After a free weekend, Stanley Rangers resume their programme with an away fixture at Brighouse Rangers. After the first four matches of the season, Stanley are fourth in the table. 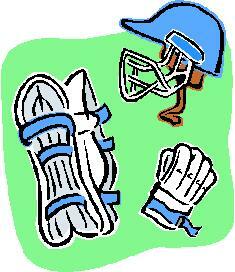 The Under 12s are now training at the clubhouse on Mondays and Thursdays at 6-7pm. Also, the cup this year is the Barla cup, the Yorkshire cup is after Christmas. In the BARLA cup, the Under 12s have a bye in the first round and will be playing Oulton Raiders on the 6th October. Please note that the Under 11s Rangers team are now kicking off against Eastmoor on Saturday at 10.30am, instead of 11.30am. The U11s Wildcats are away to Crigglestone All Blacks with an 11.30am kick off. Please note that there is a change to our fixtures with Normanton Knights. The Open Age will be playing Normanton on Friday 12th October at Normanton kick off 7.30pm, with floodlights. We will then play Normanton at home on 29th December. This has been done with the mutual consent of Normanton because Saturday 13th October is Grand Final day. Stanley lost out to top of the league Millom 14-46 at the weekend. A 14-point blitz five minutes before half time helped the visitors to a 22-8 interval lead which Stanley couldn't overcome in the second half [ Report ]. However, the second team had a good win 24-20 away at Shaw Cross Sharks for their first game of the season in Division Three of the CMS Yorkshire League. In the draw for the three Wakefield & District League Open Age Cups, Stanley A are to play Crofton Cougars A away in the preliminary round of the Buildbase Cup, date to be announced. Next weekend sees the First Team away to Crosfields and the A team at home to Castleford Lock Lane A. An excellent win over old rivals Stanningley 30-16 put Stanley Rangers in third place in Division Three after only two games. [ Report ]. Next weekend sees a home fixture against top team Millom. Stanley Rangers ARLFC would like to thank Stanley Rodillians ARUFC for their continued help and support to the club in allowing the use of their car park for away team buses. The Open Age team will be travelling away to Stanningley on Saturday 8th September, whilst the second team will be at home to Upton. Our junior teams will be taking part in the Co-op Festival. This will be on Sunday 16th September for the U8s, U9s, U10s and the U11s. The venue is to be confirmed. The U12s and U13s will start their seasons on the 15th September. The U12s will be away to Castleford Panthers and the Under 13s will be home to Garforth Tigers. The U14s, U16s and U18s will start on Sunday 16th September. The Under 16s take on Smawthorne Panthers at home, and the U18s fixture is to be confirmed. Stanley's Under 8s, 9s, 10s and 12s took part in he New Earswick tournament in York on Saturday and Sunday 1st and 2nd September.Great matches were played by all the teams. In the Under 8s some players made their debuts and the Under 9s played well in their age group. The Under 10s and 12s were both delighted to win their age groups. The Under 12s retained their title for the second year running by beating New Earswick in their final. The first match for Stanley Rangers in the National Conference League kicks off tomorrow, Saturday 1st September, with a home fixture against Ovenden. The match kicks off at 2.30pm and your support for the start of a new era for the club will be most welcome. To mark the occasion, former Castleford, St Helens and GB prop, Kevin Ward will be in attendance. ( Photos and report in the Wakefield Express). On the 8th September the Under 12s will be hosting Wigan St Judes along with the U10s and U11s. The U12s will be hoping to seek revenge in the Battle of the Roses after being defeated by Wigan earlier this year. The U8s, 10s and 12s are taking part in the New Earswick Tournament on Saturday 1st September and the U9s will be playing on Sunday 2nd. The Under 12s are looking to defend their title, having won their age group in last year's tournament. The Challenge Cup Final between St. Helens and Catalan Dragons will be shown at the clubhouse on Saturday the 25th August, kick off 3pm. There will be a barbeque available. A new-look website for Stanley Rangers will be launched in the next few weeks to mark the start of the club's start in the National Conference League. The National Conference League Division One and Two seasons begin on September 1st and mark a landmark date for the Stanley club after its successful application to the NCL. Training for the Open Age squad has started on Tuesday and Thursday evenings at 7pm on the Stanley St Peters school field. Old and new players welcome.